Properties in Fetovaia Beach average 4.5 out of 5 stars. THREE-ROOM APARTMENT 6 FEATURES, IN QUIET AND RELAXING AREA. Property 58: THREE-ROOM APARTMENT 6 FEATURES, IN QUIET AND RELAXING AREA. Seccheto: Apartments for 2-6 people inside a little farm(1km far from the beach) - Apartment Il Cavolo Nero Apartment(2-6 people). 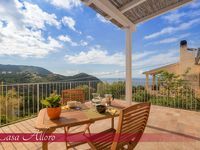 Property 77: Seccheto: Apartments for 2-6 people inside a little farm(1km far from the beach) - Apartment Il Cavolo Nero Apartment(2-6 people). Casa Olimpia, the Rifugio dell: Elba! Property 97: Casa Olimpia, the Rifugio dell: Elba! Very beautiful holiday, excellent accommodation with a beautiful beach in close to the property. Friendly and kindly care of owner. I recommend to all.